This is LG’s most powerful phone of 2018. Last year saw a big shift for LG’s V series. Unlike the V10 and V20 that experimented with metal designs, removable batteries, and secondary ticker displays, the V30 introduced a slick glass back, incredibly slim bezels, and a pOLED screen made by LG itself. We’re anticipating the V40 to share a lot of similarities to its predecessor and this year’s recently announced LG V35, and as new information trickles in, we’ll be regularly updating this guide to help keep you up-date on everything that’s going on. 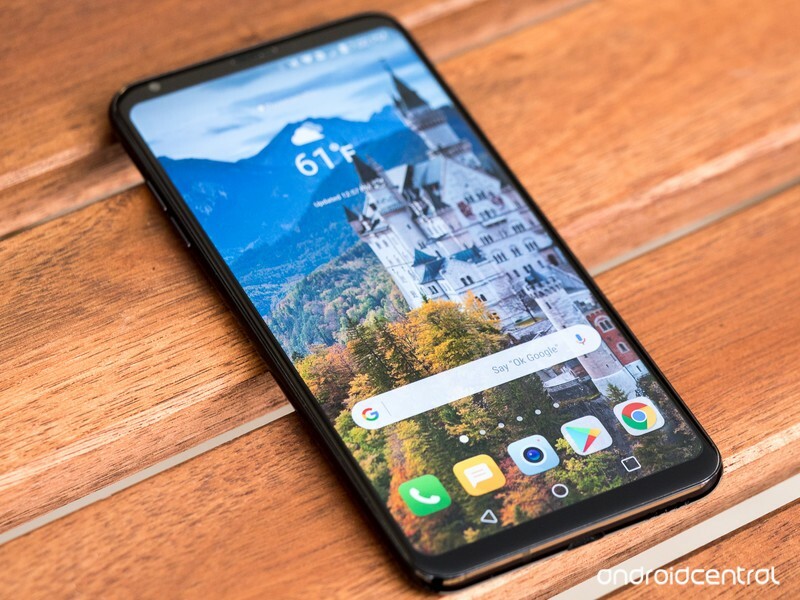 Without further delay, here’s everything we know about the LG V40! Shortly after the G7 ThinQ was announced, LG confirmed something rather interesting — it only uses OLED screens for phones in its V series. In other words, that’s about as close of a confirmation as we’ll get that the V40 will come equipped with an OLED panel. We don’t know what the resolution will be or if it’ll have a notch, but OLED is pretty much a guarantee at this point. Evan Blass shared on Twitter that the V40’s codename is “Storm.” This doesn’t provide much insight into specifics regarding the phone, but it is suggestive that LG’s flagship will be big and powerful. Talk about the V40’s specs is still relatively quiet, but even so, we can make a few guesses about what it’ll come equipped with. At the heart of the V40 will likely be Qualcomm’s Snapdragon 845 processor. This has been the chipset of choice for most 2018 flagships, and as we’ve seen before, the 845 is a beast when it comes to performance, camera processing, battery life, and more. Something else the V40 will likely carry is an OLED display. In May, LG confirmed that it reserves its OLED panels for entries in the V series. Unless something has radically changed since then, this is a sure bet that the V40 will be graced with an OLED screen. Lastly, the V40 will come with at least two cameras on the back. We don’t know what kind of sensors will be used or what the aperture rating will be like, but similar to past LG flagships, we should get a primary lens with a regular focal length and a secondary, wide angle one. When will the LG V40 be released? According to current sources, the V40 is scheduled for a release in either the late summer or early fall of this year. If accurate, this will see it launched during a similar window compared to the September 21 release of the V30. We don’t have a specific month or day at the moment, but I’d imagine the V40 makes its appearance at some point between August and September. We have a pretty good idea as to when the V40 will be released, but what about its price? Details on this are still few and far between, but to make an educated guess, let’s first look at past retail pricing for other entries in the V series. LG’s been steadily increasing the price of its V phones with just about every release, and based on the most recent V30S and V35, I think it’s safe to say that the V40 will cost around $900 and possibly cross that $1000 threshold. The V series has never been cheap and the V40 won’t be an exception to that rule. ← Router vs. Mesh Networking: What’s best for your home Wi-Fi network?